Joseph Castro, a senior vice president and general manager for outside continental U.S. markets at Tribalco, has taken the additional role as head of the Bethesda, Maryland-based information technology and telecommunications services provider’s CONUS business operations. Castro will be responsible for sales and delivery operations of the firm’s Americas division in addition to overseeing business in Europe, Asia Pacific and the Middle East, Tribalco said Monday. 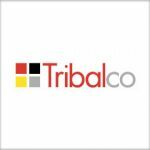 “Joe is widely recognized as a talented and trusted partner of customers and vendors alike,” said Tribalco CEO Kevin Moss. “We believe that consolidating our company’s growing global practice under a common management structure will add a new level of flexibility and agility to Tribalco’s service offerings,” Moss added. Castro helped the company land radio communications support contracts with the U.S. Army and expand its portfolio of acquisition vehicles that now includes the General Services Administration’s Alliant I and NASA’s Solutions for Enterprise-Wide Procurement V contracts. He previously served as VP of global sales and operations in the Pacific at Tribalco prior to his appointment as SVP in 2014. Prior to Tribalco, he worked at Apptis, now under AECOM‘s URS subsidiary, for two years with responsibility over APAC accounts.